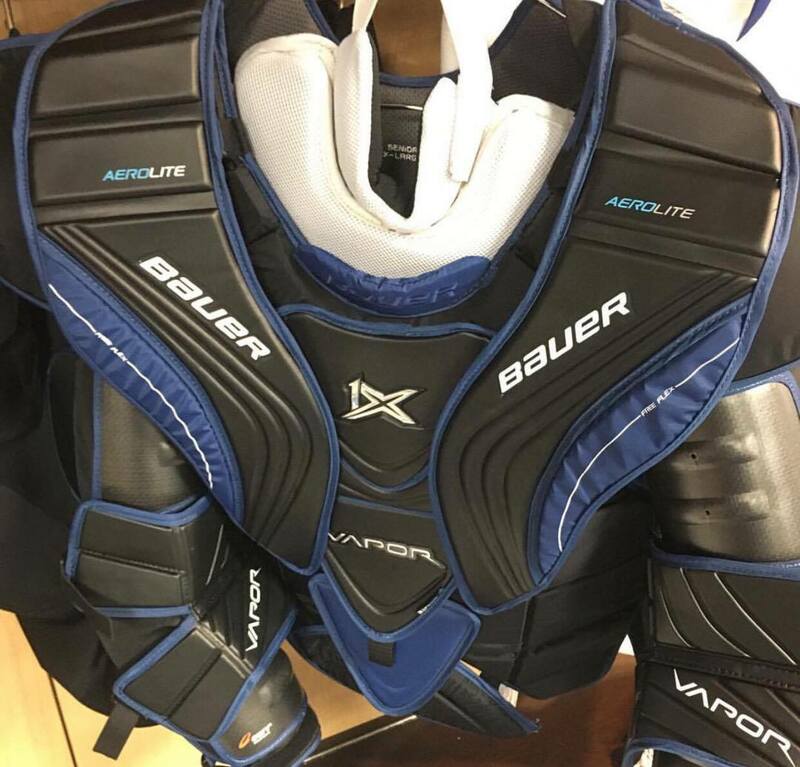 A new era in mobility is being brought in with the release of the all-new Bauer Vapor 1X chest protector. 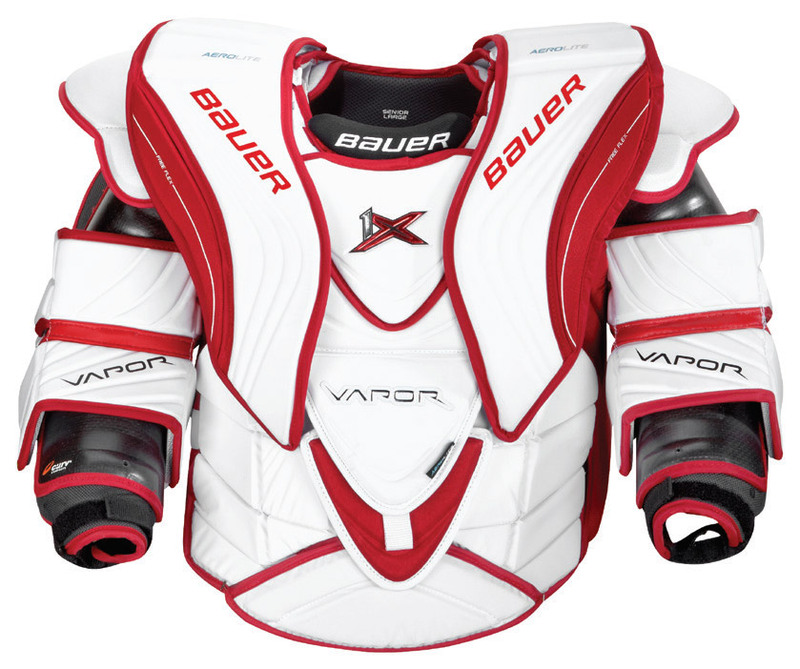 Coming in late April, the Bauer Vapor 1X chest protector is built with a fast strap harness system. This new setup gives you the ability to quickly adjust the chest and arm for the best fit. The addition of Free Flex panel segmentations allows you to be quick and agile while wearing this chest protector and makes it perfect for those goalies who seek mobility out of their equipment. The Bauer Vapor 1X chest protector uses Curv composite and Aerolite technology to help enhance the protection provided. Curv composite and Aerolite is used in key zones, such as the shoulder and arm floaters, to provide strategic reinforcement so you can stay well-protected out on the ice. This combination of technology will also help to reduce the overall weight of the 1X chest protector, which is great for any goaltender. To help keep you cool and dry on the ice, Bauer will be using a transfer mesh liner with 37.5 technology in the Vapor 1X chest protector. Transfer mesh is a new fabric Bauer will be using which enhances 37.5 technology by helping to accelerate the evaporation process. It does this by improving airflow through the chest protector in key areas. 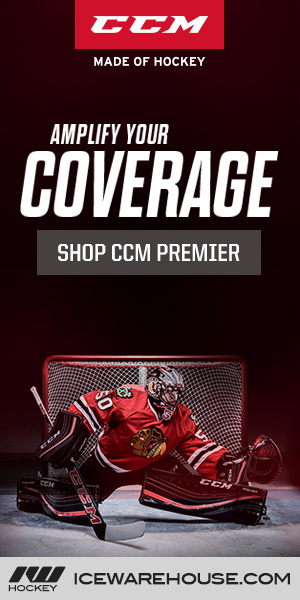 Bauer has also included a free flex edge on the shoulder floaters for improved mobility and added more protection on the back of the of the bicep guard. 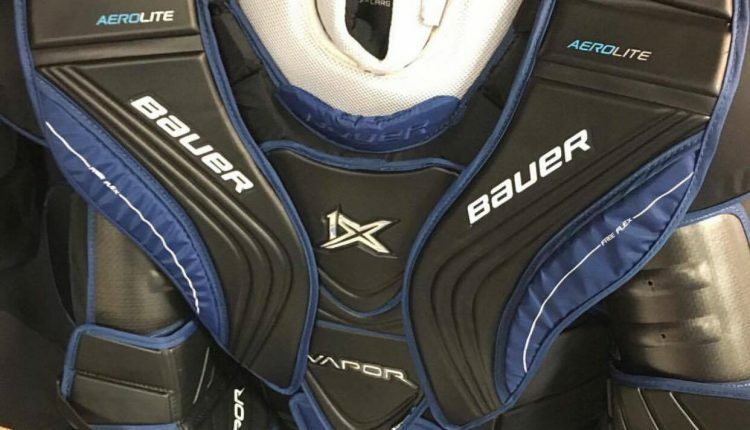 The all new Bauer Vapor 1X chest protector will likely hit retail store shelves in late April. 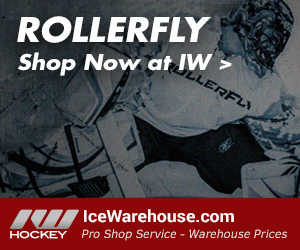 Keep an eye on the goalie section at Ice and Inline Warehouse, or at your favorite online retailer, for updates.